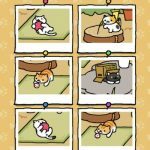 We’ve been covering Hit Point’s Neko Atsume: Kitty Collector once again, what with the game having recently added a new cat and remaining extremely popular among mobile gamers around the world. As we said before, the mechanics of the game are quite simple; your goal is to fill up your Catbook with all of the game’s 40-some different cats, each of which have quirky names, with many a pop culture reference among them. And in order to lure them to your yard, you’ll have to buy certain items – these may differ depending on the cat you’re trying to attract. It’s as simple as that, though actually collecting all of the cats is a different story altogether. 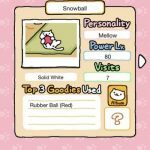 In our most recent Neko Atsume: Kitty Collector strategy guide, we told you about what you need to do to bring the rare cats over. This guide will focus on something else together – the game’s so-called secrets, some of which may be obvious if you think about it, but aren’t entirely obvious if you don’t. 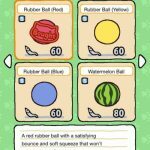 So with that said, let’s share these secrets with you, as they may help you improve your game and collect more cats faster. Silver fish are the game’s common currency and gold fish are the premium currency. And if you want to buy many of the game’s toys and bring some rare cats over, you’ll want to have more gold fish. Cats would leave tips once they leave your yard, and they’re more likely to tip you in silver fish rather than gold fish. And once you collect enough silver fish, you can trade them in the shop for gold fish. The exchange rate, however, leaves a little something to be desired; you can get 10 gold fish for every 500 silver fish you trade in. Still, you’ll have to make do with that uninspiring exchange rate if you don’t want to spend real-life money on gold fish. Furthermore, there’s a good chance you’ll be earning a ton of silver fish anyway as you continue playing the game and receiving tips from departing cats. 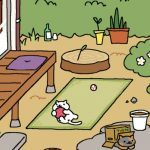 You’ll start out small in Neko Atsume, with a yard that can only accommodate one food bowl, and space for just five small items or one large item and three small items. That really isn’t much in the grand scheme of things, so once you can afford it, you can spend 180 gold fish on the Yard Expansion. That will give you two food bowls, and space for ten small items or two large items and six small items. Essentially, this expansion allows you to attract twice the cats you normally would, allowing you to earn more fish. The time lapse cheat, in case you haven’t heard of this all-too-popular mobile game cheat, involves advancing the time on your phone or tablet by so many minutes or hours, in order to replenish energy, complete long tasks, etc. In Neko Atsume, this cheat does still appear to work, and you can use this to feed your cats in the evening. Since you can’t get cats without food and can’t get currency without cats, you might want to advance the time on your device to feed your cats before going to bed. That will leave some food for them, and when you wake up the following morning, you won’t have to deal with a cat-less yard and a severe lack of fish in the long run. While you should make sure you change the time back to normal after running the time lapse cheat, bear in mind you won’t be able to play the game like you should until the game time catches up with real-world time. Last time, when we were discussing the game’s rare cats, we gave you some information on Frosty, and his pathetic power level of 5. That means this cat, while lazy, is very easy to overpower, giving you a good chance of losing him quickly. Take note that this cat is the white one with red eyes and green ears – the moment you see him on your yard, make sure you’re able to snap some photos of him! Snapping photos of cats is what gets them on the Catbook, and sometimes you’ll want to have as many cats as possible on your phone or tablet’s display. In order to do this, you’ll need to have all four cubes in your yard. Orange and Navy Blue cost 320 silver, Dice costs 32 gold, and Tiramisu costs 28 gold. These cushions fit up to two cats at a time (except if Tubbs is lounging there; he’ll take up all the space) despite being counted as only one space in the yard. Aside from the cubes, you’ll also want the Cat Metropolis, which costs 50 gold and can accommodate a maximum of six cats. The Cat Condo Complex and Bureau of Pot cost 500 and 950 silver respectively, and both accommodate up to five cats. Have two of those in the two larger spaces and you’ll have a cat party of sorts, for lack of a better term. Still, that’s not all! There’s one more spot you can fill up, and you’ll want the Lacquered Bowl in there – that’s going to cost you 25 gold. Having that in there allows you to have one cat sleeping or sitting inside, plus rare cat Kathmandu, which we told you about last time. All told, that adds up to a maximum 24 cats at a time, and that is indeed a cat party in your garden. Neko Atsume’s makers do, on occasion, launch special offers that will allow you to save on certain commodities. For example, Hit Point was offering 15 percent off on certain food items; typically, the company will offer deals on sashimi and other premium types of food. Usually, Hit Point won’t tell you when a certain deal is expiring, so if you see it available, then spring for it. Take advantage of those deals and you’ll be spending less gold and silver on special items. Speaking of premium food, we believe there really isn’t any need to splurge on high-end food items unless you’re trying to attract a specific cat to the yard. Yellow bowl Frisky Bitz are as common as they get, and they’ll only cost you 30 silver fish a pop; such food lasts long without you having to replenish it, so don’t go overboard when it comes to the premium items! We told you above about what your first major upgrade should be. But when it comes to remodeling your yard, you’ll be able to do that over time, allowing you to level up to fancier accommodations. Your options included a Western-style ranch, a modern art house pad, a rather rustic-looking house, and a Zen-style house. Sadly, the game doesn’t give you a full preview of these houses/yards, but just to give you an idea of how they look like, the ranch and the Zen house look just like you would expect them to; Western and Eastern influence respectively. The rustic-style house looks like your usual suburban digs. We’ll also have to agree with one list of Neko Atsume tips with regards to the modern-style house, which does also remind us of the house in BoJack Horseman. At the end of the day, it all boils down to your personal tastes, as all of these options include the same space for items and the same number of food bowls. I particularly love the Back to the Future series, and it’s a good thing that Neko Atsume has a way for you to recreate the train sequence in the third film. While it’s definitely not a DeLorean, you’ll want to place the cardboard truck (15 gold) in front of the Cardboard Choo-Choo (60 gold), and the Scratching Log (30 gold) on top of the train. We told you, or should we say, warned you about Tubbs in our guide on collecting rare cats. And now, we’re going to be warning you once again about this fat cat. His tendency is to drop by your yard and eat all the food he can consume, which is usually all the food in your yard – they don’t call him Tubbs for nothing! Once you notice this fat white cat in your yard, be ready to refill those bowls once he’s gone. Tubbs is a big tipper, but it won’t be worth it either if there’s no food remaining well after he’s left your premises. I believe the max is 23 cats. Six from Cat Metropolis and five from either Bureau with Pot or Cat Condo Complex adds up to 11. That leaves space for six items that each can draw a maximum of two cats, for 12. 11+12 = 23. Am I off somewhere? Even if you use the Lacquered Bowl, it still will only attract a maximum of two cats. When I added the log on top of the train, nothing happened. Was something supposed to happen?